Community Engagement is an increasingly popular buzzword among the C-suite. Top talent view a company’s commitment to doing good in addition to doing well as a prerequisite when they evaluate potential landing spots. Furthermore, there’s growing evidence that an engaged workforce, united by a company’s purpose, is often more productive. Before any of this can happen, though, executives must go through the process of aligning their values, their employees’ values and the needs of the community. This sometimes intimidating task is made easier with a trusted partner. 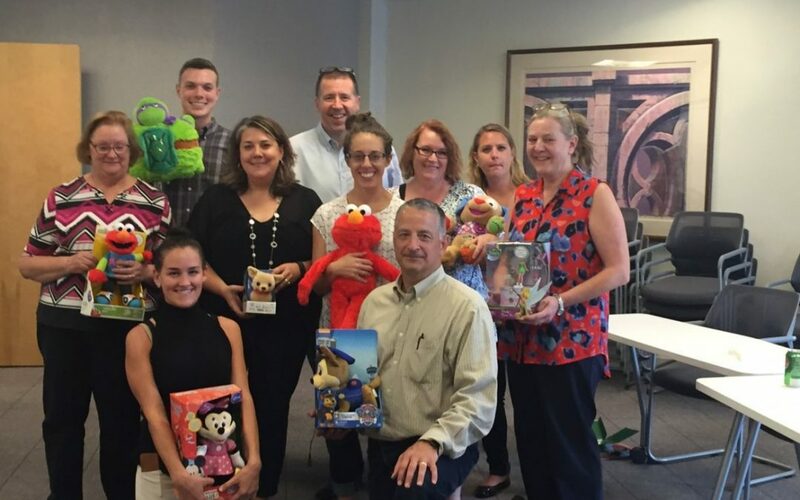 We sat down with David Humphrey, CEO of Ohio Desk, an office furniture dealership serving Cleveland, Akron-Canton, Youngstown and Erie, to learn how his team successfully aligned the company around a common community engagement mission. Here’s what we learned. Can you describe how Ohio Desk first became involved with BVU? David Humphrey: We wanted to find a way to be more involved in the community. Personally, I had been very involved with multiple charitable organizations, but we wanted that to filter through the entire company. Since [we began our partnership with BVU], we have had three Ohio Desk employees go through the Board Matching program and be placed on boards. We have also started a Community Involvement team which has been a great asset in leading the initiative to have Ohio Desk and our employees active in our community. BVU conducted an Employee Volunteer Survey early in the relationship. What did that uncover? DH: The survey gave us insight into what causes our employees were interested in volunteering with. With that knowledge, we have tailored our efforts to choosing volunteering events around causes such as animal welfare, children and serving under-privileged populations. We have had greater turn out to our events since tailoring them to the interest of our employees. Now, our Community involvement team identifies the projects we can participate in with the help of BVU and suggestions from our employees. Our goal is to get as many employees involved throughout the year as possible. What results have you seen over the last year? DH: Since becoming part of BVU, our President, Jim Mullane, has joined the Board of Bike Cleveland and our Director of Sales and Marketing, Heather Edkins, has joined the Board of the local Multiple Sclerosis Society. We also worked with BVU to find multiple volunteering opportunities that more than 30 of our employees could take part in. The Lunch and Learn, conducted by the BVU team, was fantastic. Having someone from BVU come in and give our employees information about how to get involved, the available opportunities, and how BVU can help them was amazing. We had quite a few of our employees express interest in getting involved more not only with Ohio Desk, but with their own families! You mentioned Board Matching, why did Ohio Desk choose that program as a focal point? The main point would be because BVU packages the partnership with training and they help pair our interests to what is available. To be able to sit down with someone and then for them to come back with a list that matches your interest with an organization is fantastic. We believe you must be passionate about something to really do your best. Any words of advice for a business looking to take the next step and become active in community engagement? Start small. It is something your team needs to embrace over time.